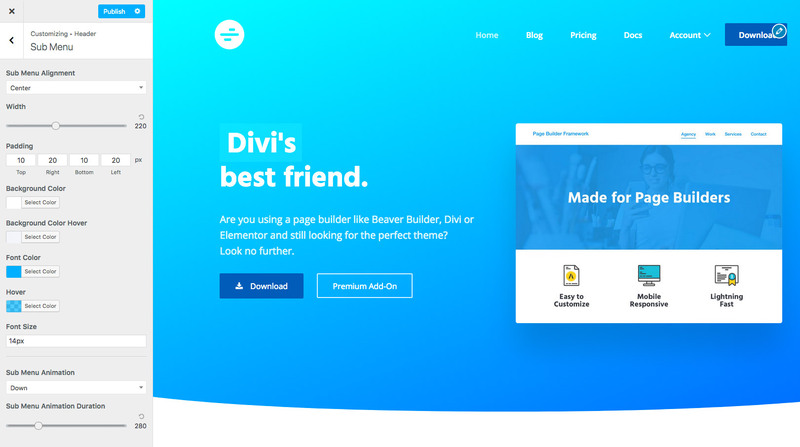 Premium Add-On users can create multiple, mobile responsive mega menu’s with Page Builder Framework. You can create up to 4 rows inside the mega menu. In our case Company, About, Shop & Legal work as the headlines for each section with the respective menu items below. To declare the mega menu, 2 CSS classes need to be added to the top menu item. The first (wpbf-mega-menu) declares the menu as a mega menu while the second CSS class (in our case: wpbf-mega-menu-4) stands for the number of rows you want the mega-menu to have. If you can’t find the CSS Classes (optional) input field, click on the Screen Options tab on the upper right on your screen to activate it. 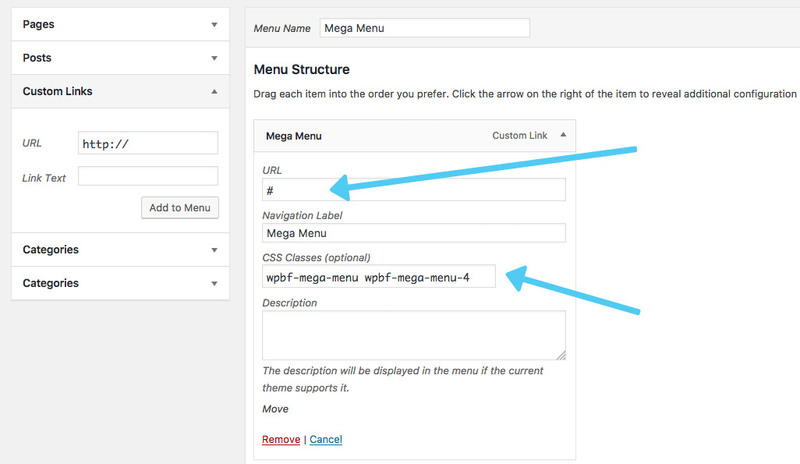 To build more complex mega menu’s, you may want to also check the Description checkbox but more on that later. 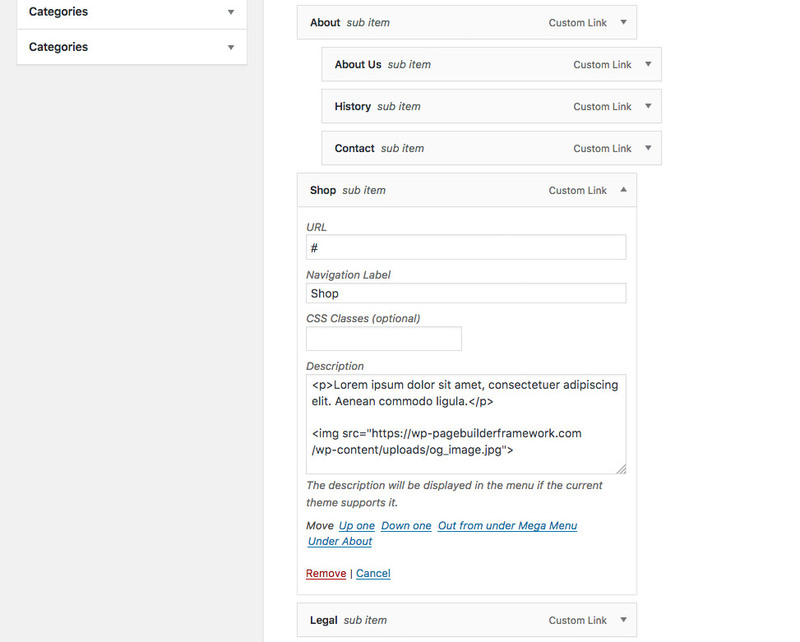 To make menu items act and look like a headline, make sure you add a # in the URL field as seen on the image above. That way, the links aren’t clickable and inherit the themes default headline color. 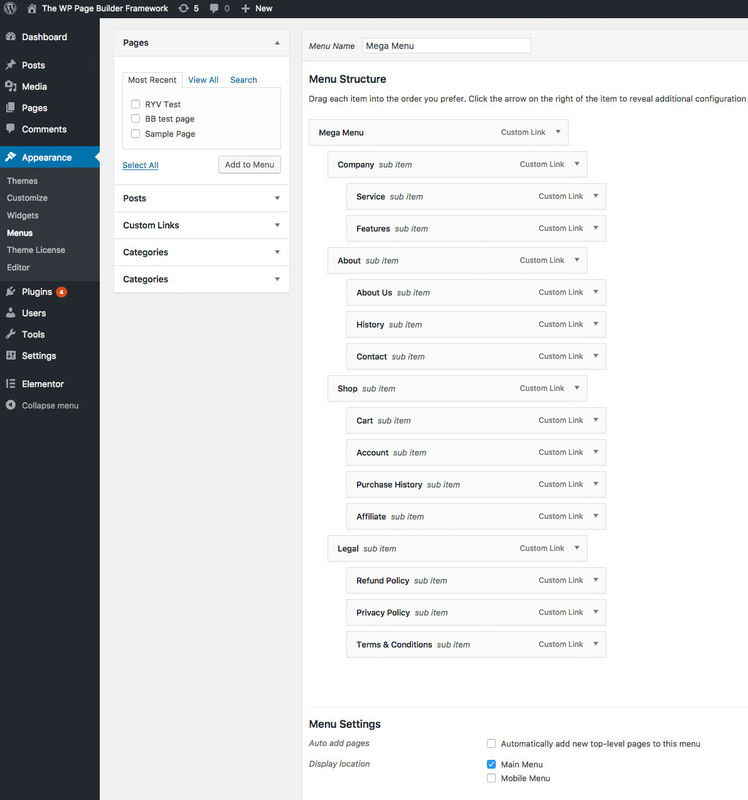 To customize the look of your mega menu, navigate to Header -> Submenu in the WordPress customizer.